Her light singing voice and light piano touch go hand in hand. 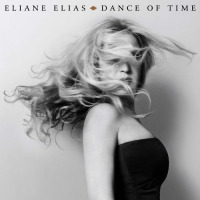 Always clear and vibrant, pianist Eliane Elias creates modern mainstream quality every time out. This one is a love letter that she's put together to honor those who have inspired her. The pianist mentions Bud Powell, Charles Mingus and Dizzy Gillespie, but there are more. Both Marc Johnson and Jack DeJohnette apply that same light touch on bass and drums to Cole Porter's lively "I Love You," as well as to her own slow and romantic composition "That's All It Was." Carl Allen and Christian McBride appear in roles a little heavier to suit different situations. Elias' lovely alto voice remains soft and gentle throughout. A highlight is the sentimental ballad "I Fall in Love Too Easily" with its piano fills and sparkling interlude. Quite convincing on this one, Elias breathes new life into Sammy Cahn's lyrics. The other vocal tracks appear soft and gentle as well, representing both up-tempo and slow impressions. McBride and Allen are featured in "Nostalgia in Times Square" and "Woody 'N You." 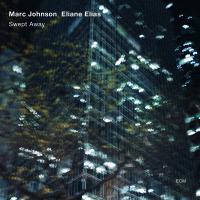 For both classic straight-ahead pieces, Elias has captured the mood with her piano trio format. Both bassists and both drummers on the session appear in frequent solo spots. An enjoyable singer and a superb pianist, Eliane Elias' romantic love letter pays homage to many, but in her own sweet way.